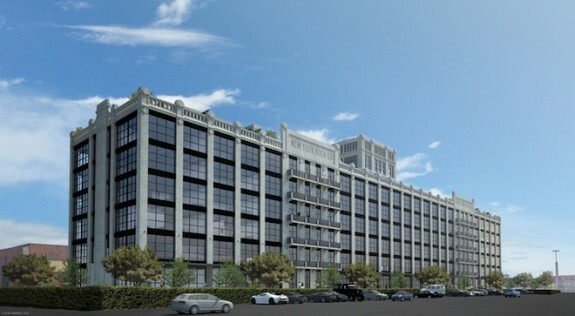 Italian developer Est4te Four landed a $79.4 million loan for its Red Hook condominium building, according to documents filed with the city today. The property, at 160 Imlay Street, is a six-story, 70-unit condo development built on the former site of a New York Dock Company warehouse. Est4te Four launched sales for the building in 2014, with prices starting at $1.28 million. At the time, a three-bedroom unit in the building priced at $2.9 million stood as the most expensive apartment in the neighborhood. Apollo Commercial Real Estate Finance is the lender for the new loan. The firm assumed a $65 million mortgage from Italian bank Intesa Sanpaolo. On top of that, the company also provided $14.4 million in new financing, records show. Est4te Four bought the property for $25.1 million in 2012. The company’s New York City portfolio also includes a commercial condo at 50 Varick Street, which it acquired from New York REIT for $135 million last August. Est4te Four previously announced plans to build a $400 million tech complex just a few blocks to the south. However, that plan fell through. Est4te sold the four-building assemblage, at 219 Sullivan Street, 68 and 100 Ferris Street and 242 Coffey Street, to Sitex last year in a $110 million deal.